We're always on the hunt for the best dog products around, and we suddenly though - what's the point in us knowing if we don't tell you? Continuing our series of the Best Dog Products, we've been resting our heads, or our dogs have - Chloe has now been renamed Goldilocks for her key role in helping us to bring you our top 5 dog beds this Summer, our dogs all love something different - whether it's a donut bed for a dog who loves to curl up, a waterproof dog bed that's essential for the home, a delightful handmade bed perfect for any surroundings or even a bed ideal for warm conditions - we hope our selection of the best dog toys around has something for you! So, without further delay, here's K9 Magazine's countdown of the top 5 best dog beds! 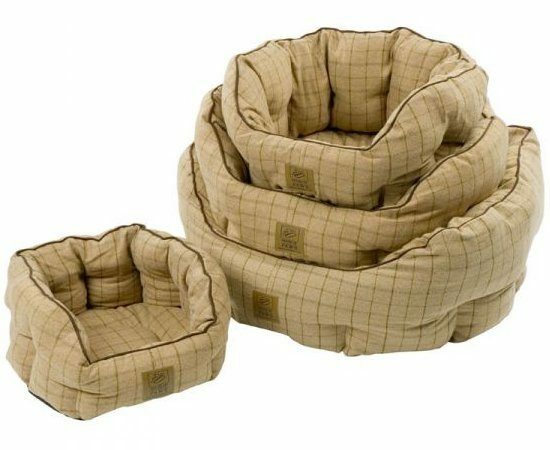 Tweed Oval Pet Bed from Modishpets – A gorgeous soft dog bed with a non-slip cushion. Available in 2 shades, honey and raspberry! Addicare Dog Beds – Anti-odour and anti-bacterial dog beds, unique in so many ways! Handmade dog beds from I Love Posh Pets – So worth it, these handmade dog beds are absolutely divine! The Canine Cooler from The Personal Cooling Centre – Fantastic dog bed for those warm days and nights! Tartan Snuggle Dog Beds from Wuff in Style – Whether you’re Scottish or not these dog beds are a must-see! Lots more colours/styles online.